Table bin - Bin very decorative. Made from metal with much attention to detail. You can choose from three different versions. Bee: Height 20 cm, Diameter 14 cm Frog: Height 20 cm, Diameter 14 cm. Cow: Height 20 cm, Diameter 14 cm. Table bin - very decorative.Made from metal with much attention to detail. Frog: Height 20 cm, Diameter 14 cm. 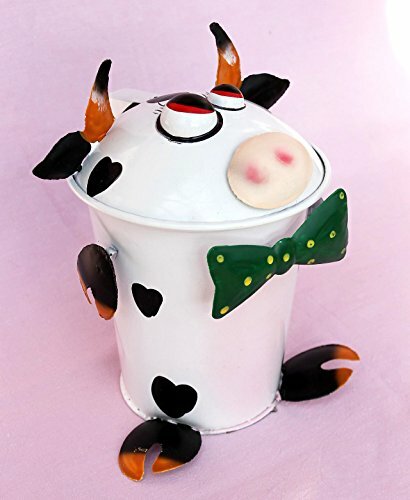 Cow: Height 20 cm, Diameter 14 cm. If you have any questions about this product by DanDiBo, contact us by completing and submitting the form below. If you are looking for a specif part number, please include it with your message.